There are millions of snowdrops on Winterthur’s March Bank. 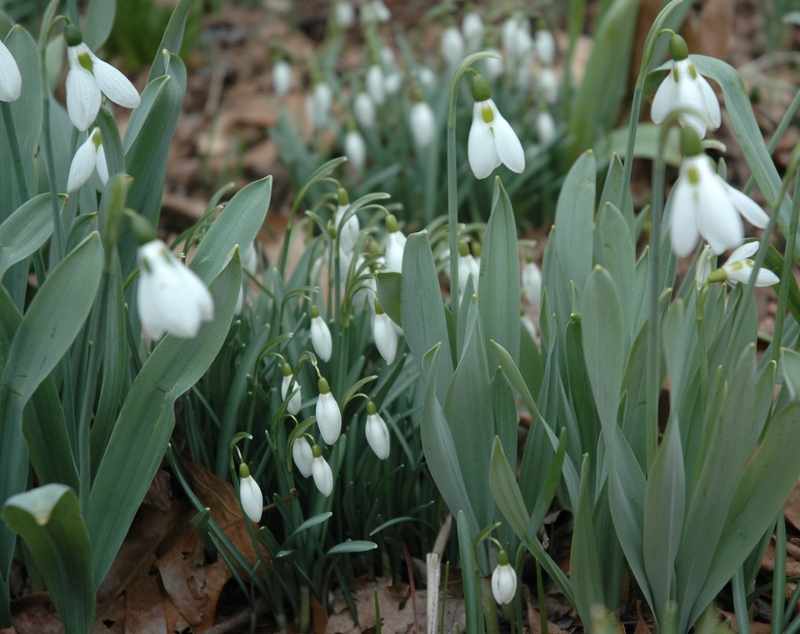 They are primarily the Giant Snowdrop, Galanthus elwesii, and the Common Snowdrop, Galanthus nivalis. The Giant Snowdrop has taller and wider leaves. Although the flowering times will overlap, the Giant will start flowering sooner and finish before the Common. An excellent reason to use both in your garden. If you take a closer look at snowdrops you will see a lot of variations in the petal size, shape, and coloring. Here is a sampling of our Giant Snowdrops.